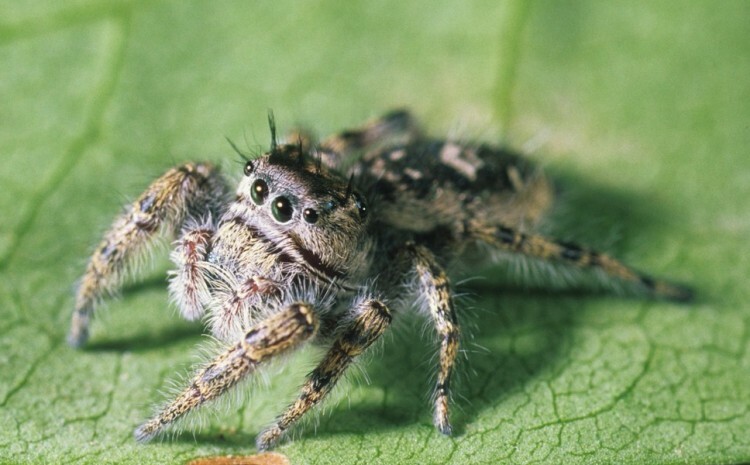 There are 79 species of jumping spiders known from Ohio. This represents about 12% of our spider species. The jumping spiders are probably the most distinctive group of spiders in Ohio. 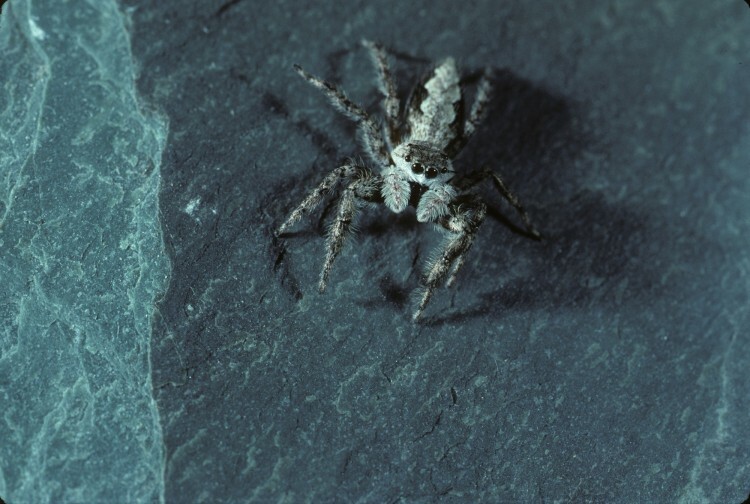 This family is also the second most diverse (in terms of number of species) family of spiders present in Ohio. 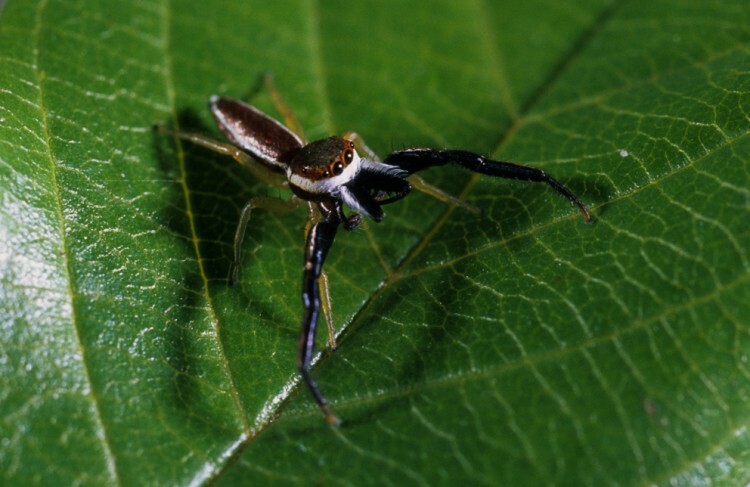 These are active diurnal spiders. Some species are quite colorful and the males often perform dramatic courtship displays in front of the females. 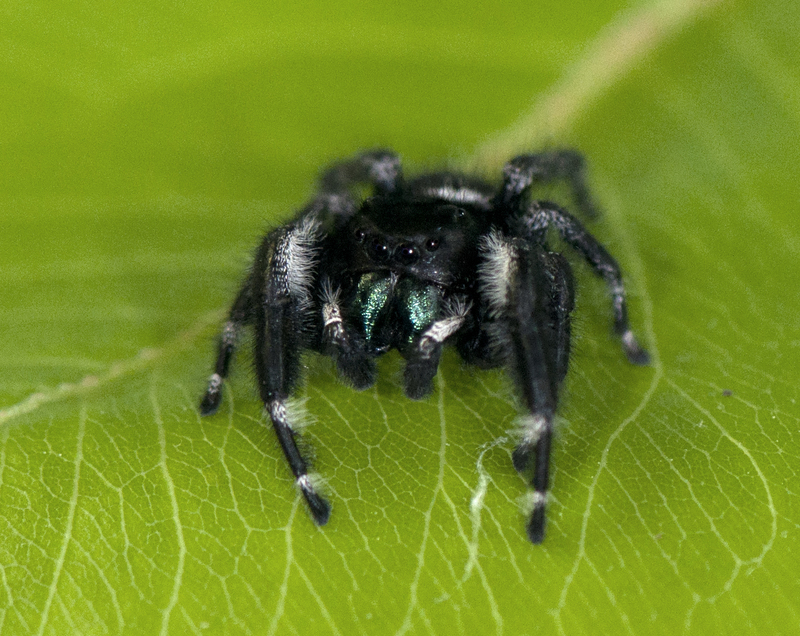 Jumping spiders can jump up to twenty times their body length! 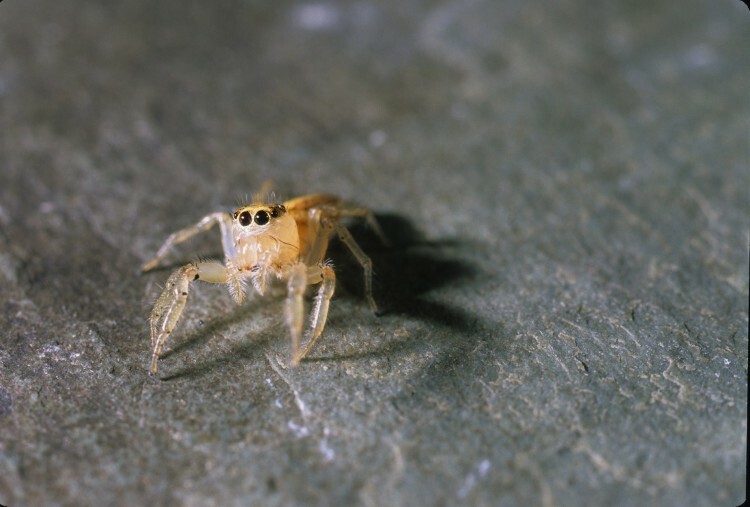 They are considered among the most intelligent of spiders and have exceptional spatial memory and the ability to learn. They have short and compact, but powerful, legs. The two anterior median eyes are very large with excellent image-forming ability. 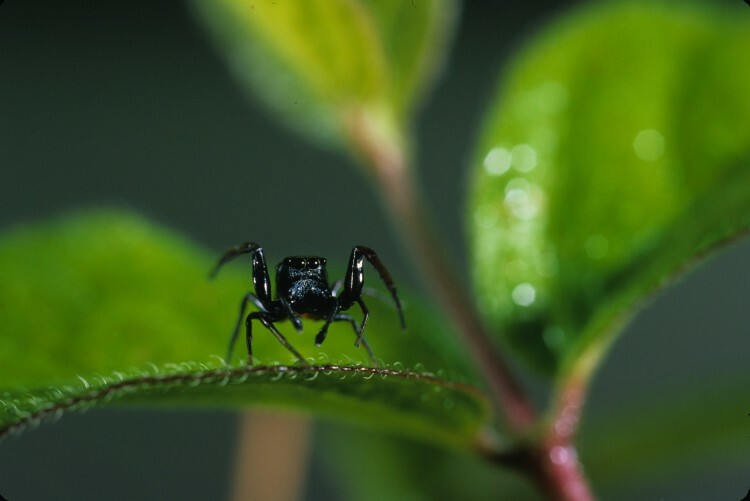 This feature also imparts a recognizable “face” from our point of view; making them the cutest of our spiders. 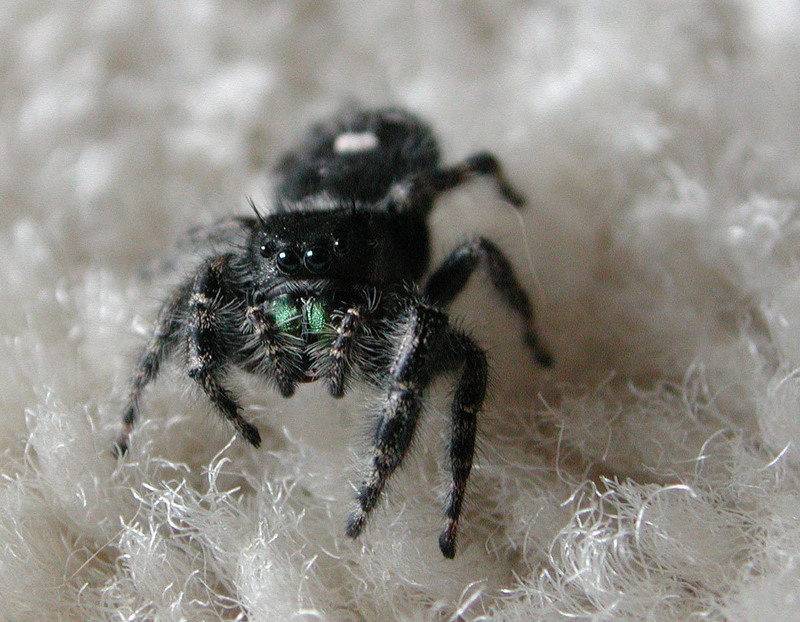 While the bold jumper (Phidippus audax) has a reputation for occasionally biting, none of the jumping spiders are dangerous to humans.